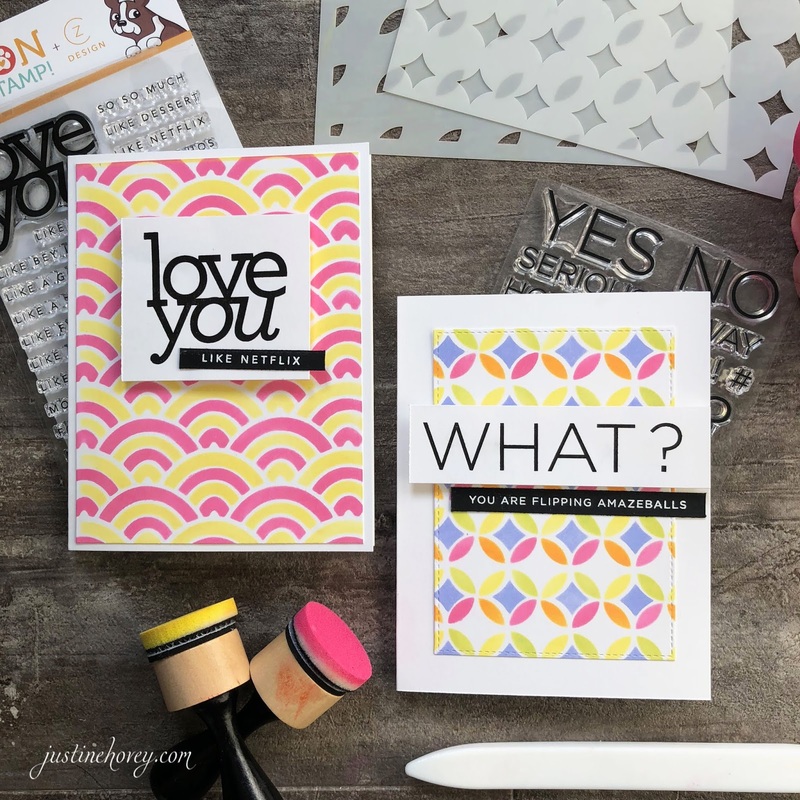 Justine's Cardmaking: Unique Stencils + 8 Card Examples! 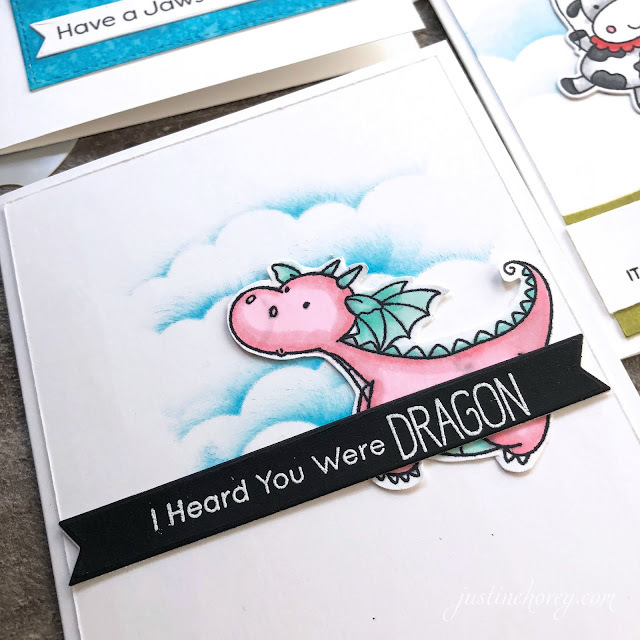 Unique Stencils + 8 Card Examples! 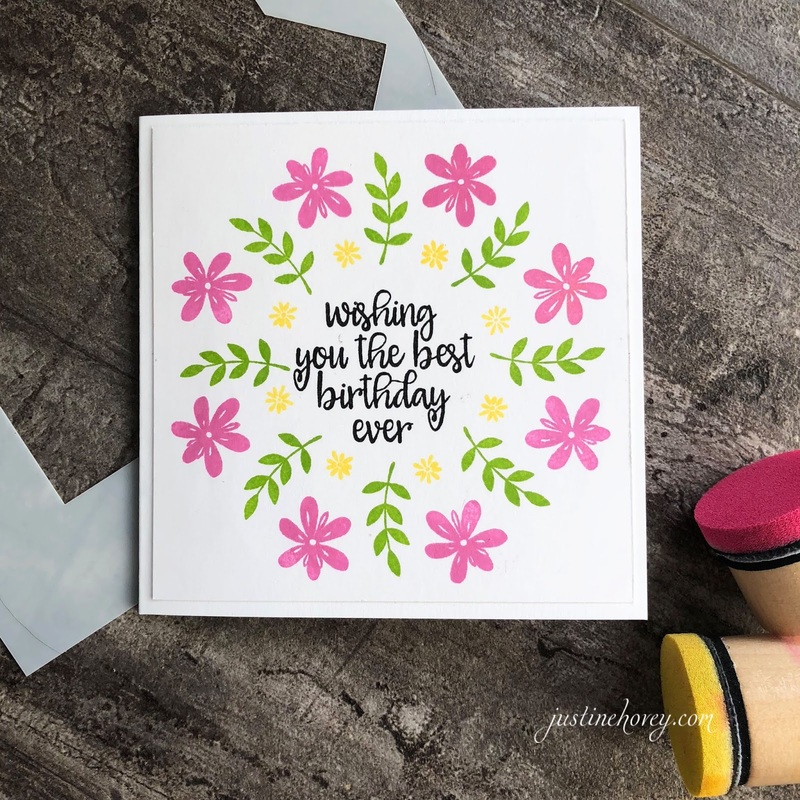 Stencilling and cardmaking have so many possibilities. I love the fact that they are affordable, reusable and can create such beautiful backgrounds that stamps sometimes cannot give us. 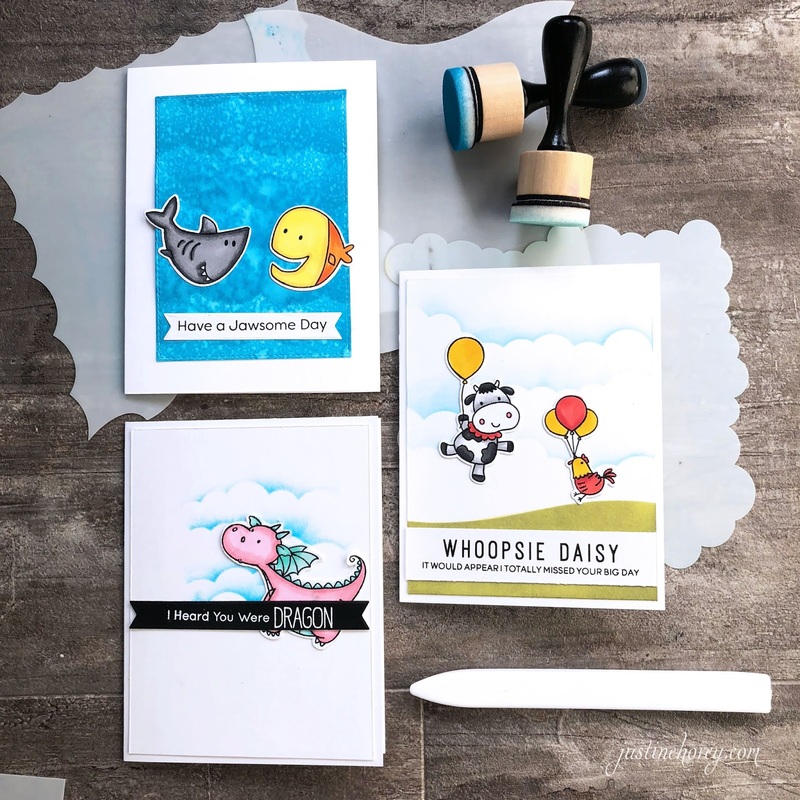 I've compiled a list of my favourite UNIQUE stencils that are currently available and created 8 different cards to show you how they work. This video was not created for a design team post, it was entirely created on my own with products that I chose personally. 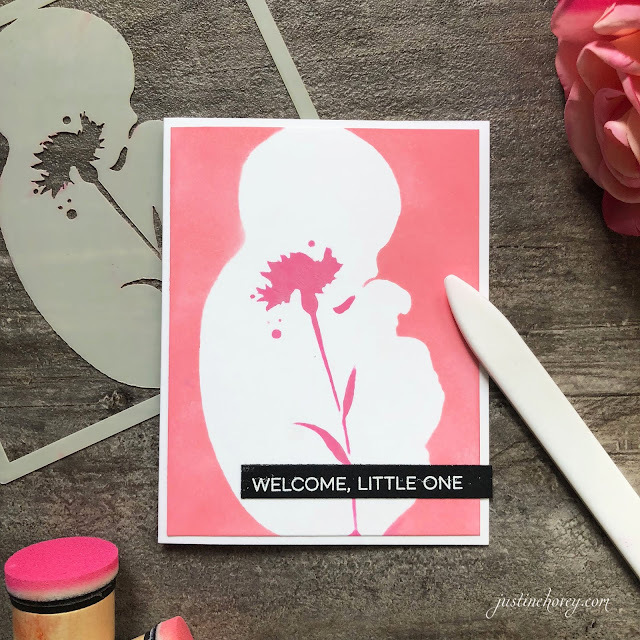 I always struggle with baby cards, so the Baby Bloom Stencil by Visible Image is a great tool to have. Not only does one stencil make the entire card for you, you can also switch up the colours to accommodate your needs! 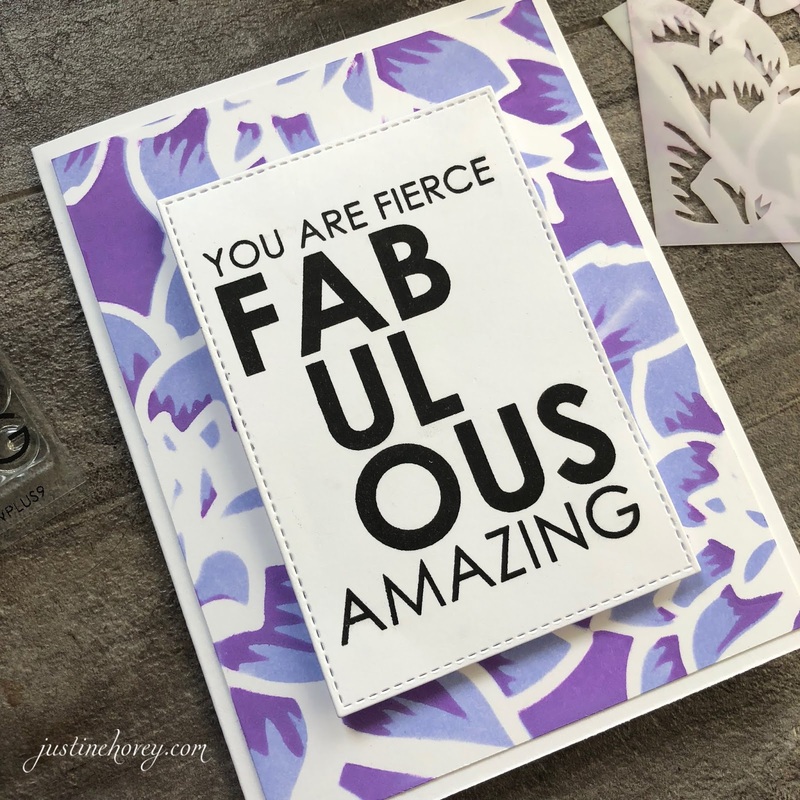 I paired the stencil with a simple sentiment from the Essential Sentiments stamp from My Favorite Things - perfect for anyone who needs a sentiment for any occasion! The Emphatic Big Day stamp has been sitting in my stash for quite a while and I've been dying to use it. Flipping Amazeballs is a stamp we should all have, am I right? I paired the stamp with the Retro Petals stencil from Concord and 9th. This is a super cool layering stencil that can be layered or stencilled on its own. Well, I think I'm in love with CZDesign and Simon Says Stamp Collaborations because this Stamp, Love You Like, is another absolute favourite. I couldn't find a better sentiment to describe my love for my significant other :P The Scallop Builder stencil by Altenew is a layering stencil that requires only one stencil. 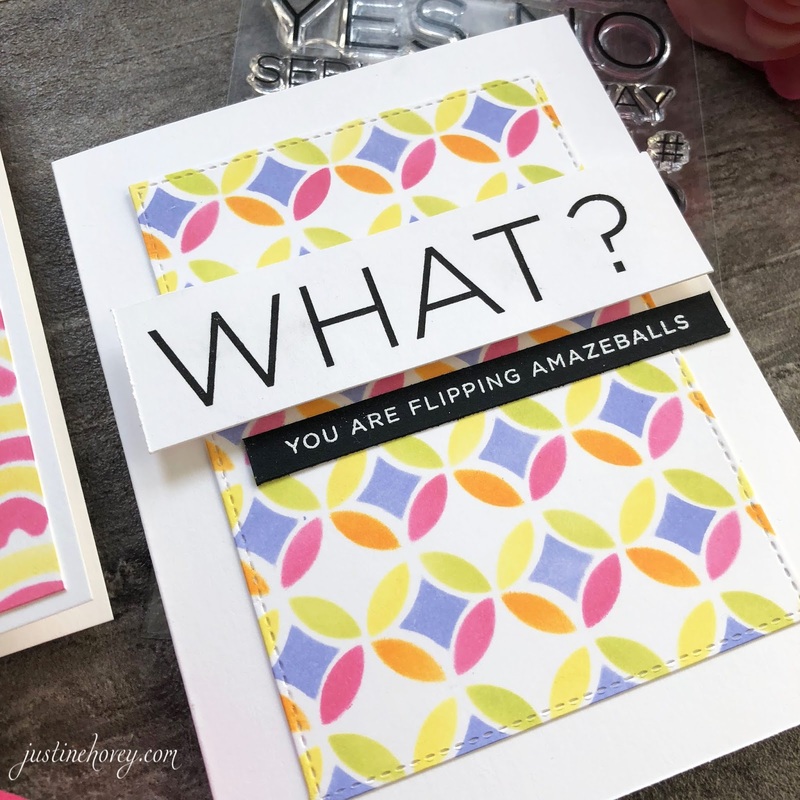 It's super fun, creates bright and cheerful cards and it's easy to use. THIS! I love the Layered Dahlia Stencil from Altenew. It's absolute stunning in Shaded Lilac and Wilted Violet! This small sentiment is from WPlus9 and it's the only stamp in the set which makes it very affordable. I've featured this one before, the Gina K Wreath Builder stamp gets me every time. If you want to stamp in a perfect circle, this stencil has to be on your list. It does require a stamp tool though, like the MISTI stamping tool in order for it to work (not the mini version). 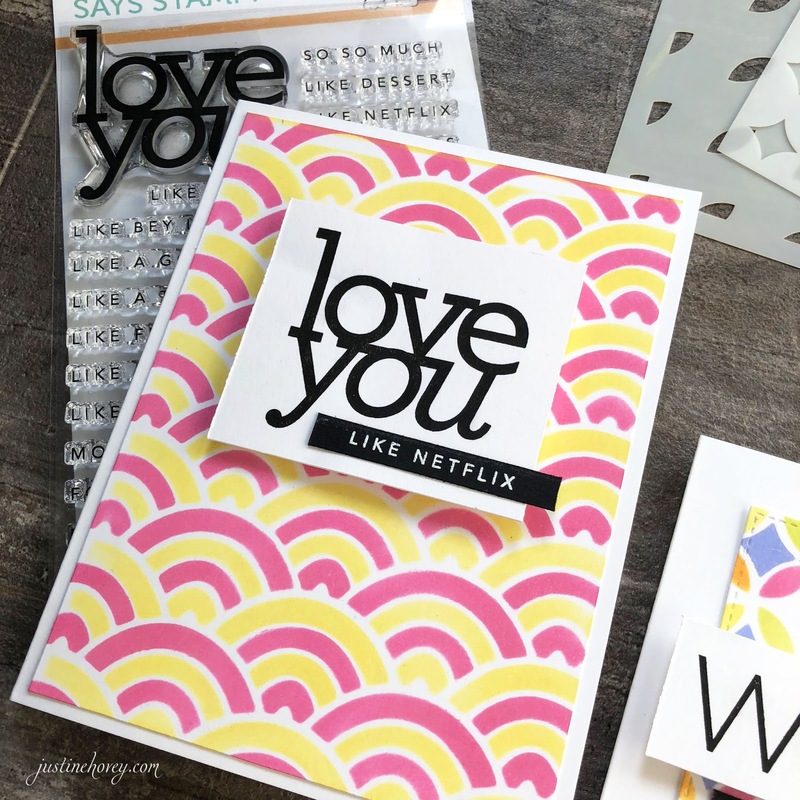 My Favorite Things is another company known for their stencils and I love these edge stencils that help you create fun backgrounds. Use one or mix and match! They com in clouds, grass, waves, hills and I'm sure more are on the way! 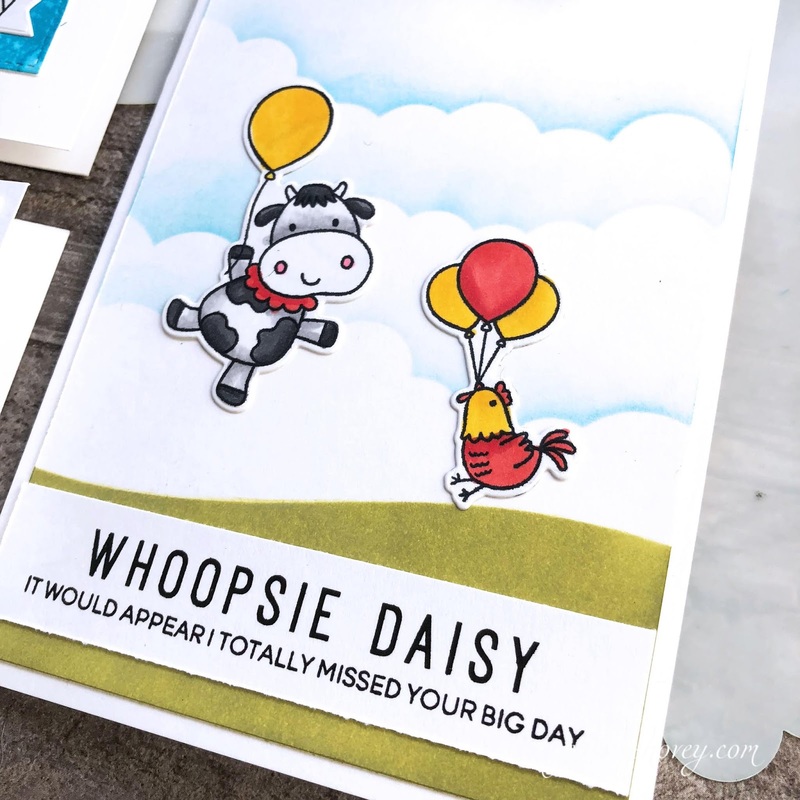 I combines the Hills and Drifts and the Mini Cloud stencil for this card that is a fun belated birthday card. The animals come from the Party Animals set from My Favourite Things and the sentiment is from another new stamp called Everyday Sentiment Duos by Heffy Doodle (I'm in love with that font! I think I said it three times in the video!). Lastly, this adorable dragon from the Magical Dragons set has been in my "to use" bucket for ages and I finally got a chance to pull it out. How cute! What a great post!! I love the baby card. Such a unique stencil. I have many stencils in my stash that I need to start utilizing. I like that they are so easy to use and can be paired with any sentiments. GREAT post!! Thanks for the reminder!! Astonishing ! I think I am the focal a particular having all the affirmation here! Keep up the brilliant work. Your blog held my liking impeccable to the particular end, which isn't all around a prominent change!! An obligation of appreciation is all together for the standard blog. Grateful to you such a shocking total for looking substance and your per customers. I haven't used wall paper on my cards in years. I think I still have 2 sample books in the barn. Might just have to go hunting! Great looking cards. I am literally amazed to see Buy Coursework the way you have used hose left over wall papers in the making of paoercrafts and that too by your own self. I am impressed literally. All of these examples are good that can help all of the people to have the best dissertation writing service companies of their own choice.